Zoltán Lantos appeared on the European jazz scene while studying at the Music Academy in his hometown, Budapest. Drawn to experimental and Eastern music, he traveled to India in 1985 to study Indian classical music. In 1994, after 9 years of studying, traveling, teaching, and performing in India, Lantos returned to Europe. 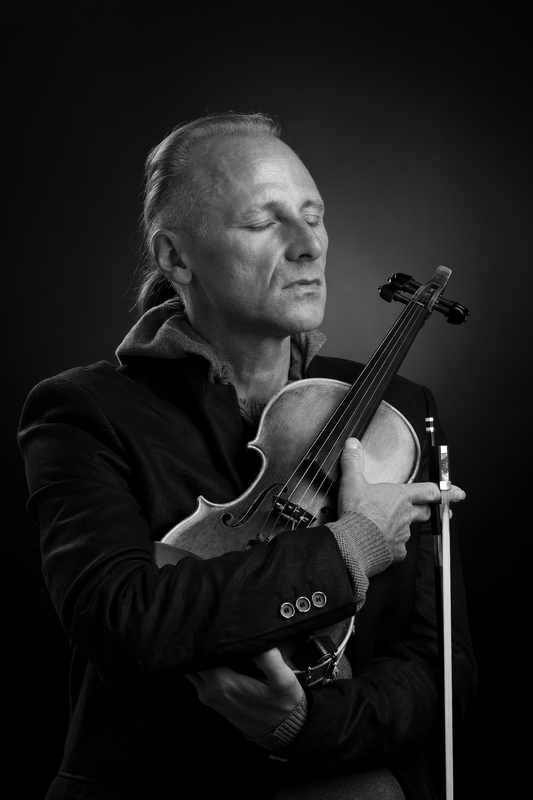 Through violin improvisation and composing he began rediscovering his musical roots. He found his musical language by blending Hungarian and classical traditions with Eastern music and contemporary European jazz. Over the years, Lantos’ musical voyage has brought him together with artists like Ramesh Shotham, Charlie Mariano, Dhafer Youssef, Rabih Abou-Khalil, Loreena McKennitt, Larry Corryell, Steve Coleman, George Brooks,Trilok Gurtu, Eivind Aarset, Nils Petter Molvaer and many others. Zoltán Lantos plays a custom-built 5 string violin and a 5+16 sympathetic string violin, enhanced by using electronics and live sampling.